Forfeiture expert and critic Brenda Grantland confirmed and amplified our analysis of Attorney General Eric Holder’s largely symbolic move to clip federal takings last week. 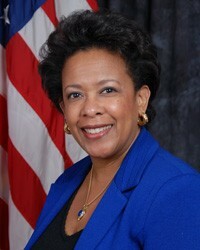 US Attorney General nominee Loretta Lynch. She calls Holder’s memo “window dressing,” and notes that President Obama's nominee for the next Attorney General, Loretta Lynch, boasted about seizing almost $1 billion from Americans in 2013. Under federal and state forfeiture laws designed to fight the drug war, police can take your cash, car, or house without a warrant, indictment, or conviction. “Holder's policy change does not even make a ripple in the ocean of forfeiture abuse that cries out for reform,” writes Grantland — a North Bay forfeiture attorney and president of the Mill Valley nonprofit Forfeiture Endangers American Rights (F.E.A.R.). Holder’s memo does not affect the forfeiture actions against many of the medical cannabis industry’s best, brightest, most highly regarded businesses. US Attorney Melinda Haag is still working to seize Harborside Health Center in Oakland and Berkeley Patients Group. She used the threat of forfeiture to close the Marin Alliance for Medical Marijuana, San Francisco's The Vapor Room, Divinity Tree, and other licensed dispensaries. Federal dispensary forfeiture cases don’t qualify under Holder's memo. In fact, most forfeitures won’t. “The order leaves plenty of wiggle room to get around the restrictions,” Grantland writes.